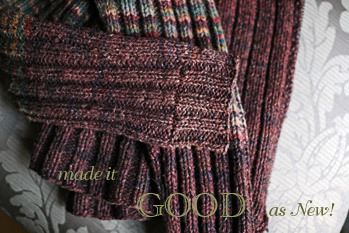 A long time ago, in a galaxy far, far, away (erm, 2004) I made what’s ended up being one of my favorite sweaters. Over the three years I’ve been wearing this sweater (3 yrs! 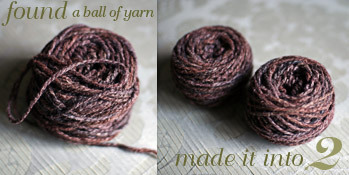 a good reason to knit yer own…) the hemp/wool yarn has gotten even softer and more comfortable. The only glitch was one that eternally plagues me: the sleeves. I like my sleeves to be the correct length and these were a tad short from the very beginning, but I was in denial. There’s been lots of projects over the years where this Denial Factor creeps in; sometimes it’s better to just move along. Other times, even years later, it can be fixed! The Catalyst: our little building of three families decided to have our windows washed this month. The requirements by our WindowMan was to take out screens (yikes! I’m on the high second floor!) and move furniture away from the windows. He was unable to place ladders outside so was going to perch on the sills and do the deed. 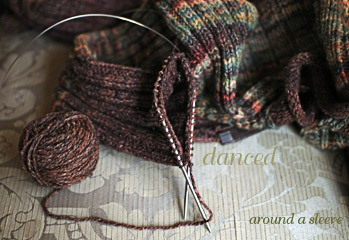 Wishing a very Happy FIRST ANNIVERSARY to that wonderful WonderLand in Palo Alto, CA: Purlescence Yarns! 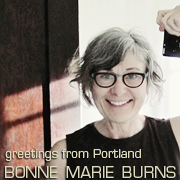 Generous and friendly and talented (and did I mention Gorgeous? ), Sandi, Nathania & Chloe have brought to the Bay Area a most incredible knitting haven where people of all skill levels and talents and vision have found a home. 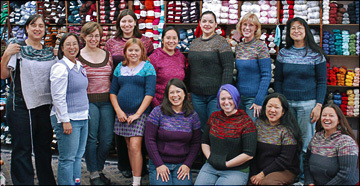 This is a picture of Ribby Pullis made during a KAL at the shop! I love the variations and incredible ways people expressed their sweaters. BEAUTIFUL! 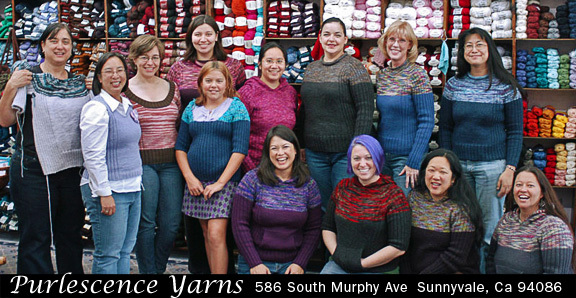 I PURLESCENCE & all the Sunnyvale Knitters!! !